The International Grand Isle Tarpon Rodeo — billed as the oldest fishing tournament in the United States — will get underway Thursday, July 26, at sunrise. Out on the water, anglers will once again compete in big game, shoreline and inside divisions, as well as a tag-and-release tarpon and a tag-and-release big game division, plus a five-fish redfish stringer (no redfish over 27 inches is eligible), according to rodeo coordinator Heather Martin. 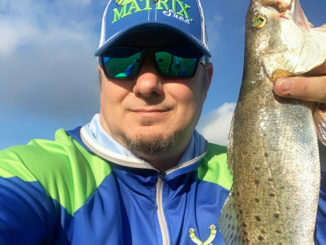 Kids will also be able to participate in eight categories in the children’s division: hardhead catfish, flounder, redfish under 27 inches, speckled trout, gafftop catfish, croaker, channel mullet and white trout, she said. All fish entered in the rodeo competition must be registered and weighed at rodeo headquarters at Sand Dollar Marina, with legal fishing waters including all Louisiana inshore and offshore territorial waters and the Gulf of Mexico. The official scales at Sand Dollar will close at 8 p.m. on Thursday and Friday, and at 6 p.m. on Saturday. The pavilion, located next door, opens to the public each day at 11 a.m.
Weigh-in for the children’s division will be from 11 a.m. to 3 p.m. at the Sand Dollar scales, Martin said. Daily crab races for kids up to 12 years old will take place daily at 2 p.m. at the pavilion, and entrants must bring their own live crab. All registered rodeo participants are eligible to win the event’s grand prize: A Model 2170 center console Blazer Bay boat in ‘Who Dat’ gold, complete with a 175 Mercury motor, a trolling motor and a trailer. Basic tickets are $50 each and include a chance for the boat, a tarpon rodeo cap and a program, Martin said. Upgraded tickets also can be purchased for $125 and include a special cap, a fishing shirt, a koozie, a rodeo poster, a towel, plus a second chance for the boat. 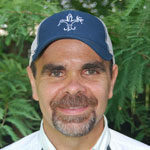 Mail-in registration is closed, but tickets are plentiful on Grand Isle, and Martin said registration also can be completed any day at the pavilion. 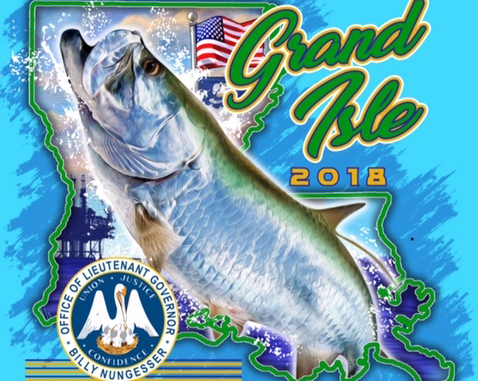 Ticket outlets on Grand Isle include Blue Water Sports, Bridge Side Marina, Camardelle’s Seafood, Nez Coupe Gift Shop, Sand Dollar Marina and Sureway Supermarket, plus Songy’s Sporting Goods in Houma. Additionally, tickets can be purchased at Puglia’s Sporting Goods and Chag’s Sporting Goods in Metairie, and at TYD Store and Tackle, Moran’s Marina and Griffin’s Ice and Fuel in Leeville/Fourchon. Musical entertainment over the three-day stretch will include DJ Capt. P on Thursday, Shorts in December on Friday and The Wiseguys on Saturday. Rodeo results will be available online on the rodeo’s website, and updates will be posted each night on the International Grand Isle Tarpon Rodeo Facebook page. For a complete listing of all fishing categories and rodeo rules, click here.